You may recall that Josh Vogt answered some questions about his Pathfinder novel, Forge of Ashes in April. Well, now he’s back, this time launching his own fiction, with a truly wacky concept for a fantasy world, the magical realm of The Cleaners! Read on. . . 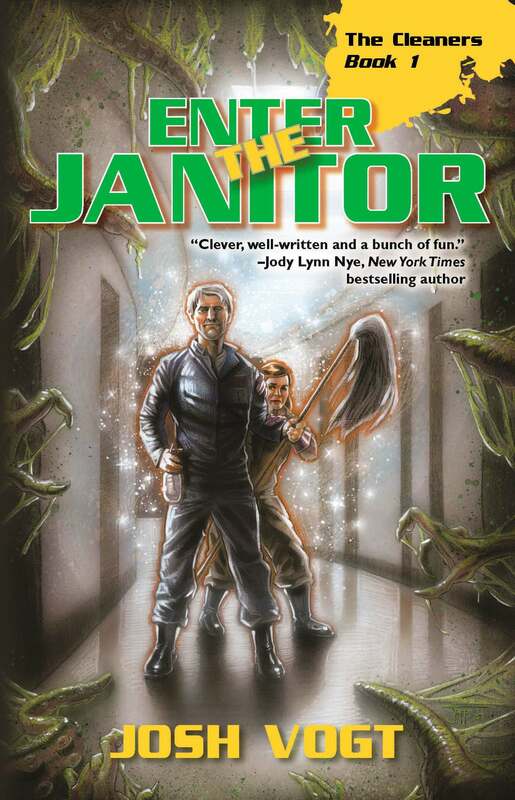 Enter the Janitor, first in The Cleaners series about a supernatural custodial firm. What was the inception of this project? What were your first steps in building that idea into a viable story? With Enter the Janitor, I got to thinking about what mages or wizards might be like if they took on different professions. When I realized the mops and spray bottles and plungers sanitation workers often wield could be stand-ins for traditional wands and staves, the idea clicked and I ran with it. Then it was a matter of figuring out the rules of that reality and how a supernatural sanitation company might blend in with modern society. What kind of research and/or world-building did you do before beginning? I researched sanitation workers in general, getting an idea of the tools they use and how they’re perceived these days. I also looked into the history of sanitation, plagues, hygiene, and world mythology, finding (or forging) connections between them all to fit into the lore of this story. What’s your first-draft process? outline, edit as you go, speed-writing? I do a lot of upfront worldbuilding and outlining until I hit a certain point where I realize that constructing the details is keeping me back from telling the story. Then I take the outline I’ve worked up and fill in the gaps as I draft, giving myself the ability to be creative and make new discoveries as I go. How do you start revisions? Enter the Janitor didn’t actually start out as humor-oriented as it is now. It had its funny bits, yeah, but when it was being shopped around to publishers, I got feedback that encouraged me to really ramp up the comic elements—which I did, and which I believe really helped set it apart from other typical urban fantasies. If you could choose a few descriptors that would go in a blurb on the front cover of your book, what would they be? Fun fantasy that takes a unique spin on what it means to save the world. What cool thing would you put in the DVD extra version that didn’t get into the published work? research or created detail you had to cut or couldn’t use? I’ve only just begun to explore the world of The Cleaners, so anything that hasn’t gotten into Enter the Janitor is lined up to appear in future stories! The second novel, The Maids of Wrath, will be out in 2016, so get ready! Where should readers go to find out more about your work? Most info can be found on my website, JRVogt.com. You can also contact me on Twitter, Facebook, YouTube, Goodreads, Amazon, and a few other platforms. Or see me at one of the many conventions I often attend. Care to share a link (aside from your own work) to something amazing you think everyone should see or know about? I know some folks are a little leery about Reddit in general, but actually the Fantasy subreddit is an excellent community of people who love to talk about genre authors, books, movies, games, and more. There’s a SciFi subreddit as well that’s equally active. 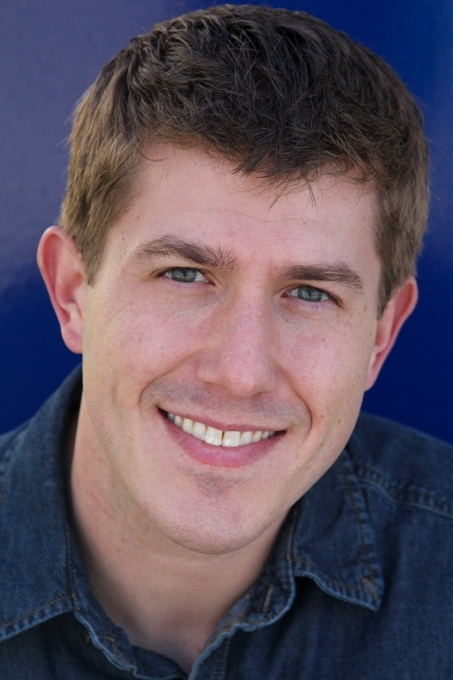 This entry was posted in author interviews, books, fantasy, fiction, guest blogs, magic and tagged contemporary fantasy, custodians, fantasy, humorous fantasy, janitors, Josh Vogt, new books 2015. Bookmark the permalink.